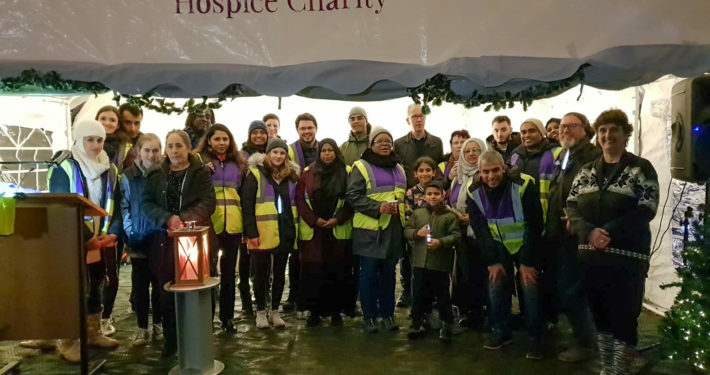 More than 200 family, friends and carers gathered in Kensington Memorial Park on Sunday 2 December for the third annual Pembridge Hospice Light up a Life remembrance event. 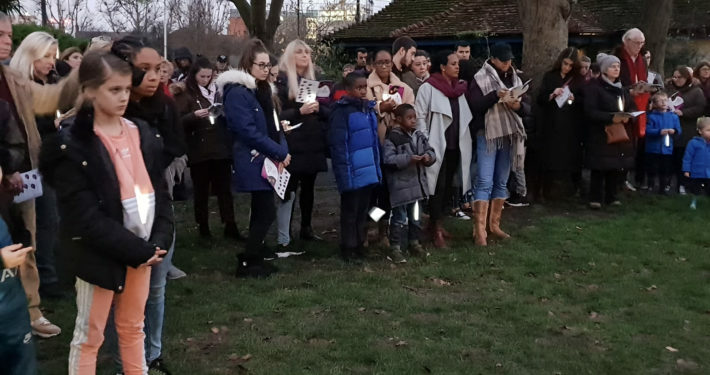 Martin led the 30 minute ceremony, which started with the lighting of a dedication candle by the Mayor of Kensington and Chelsea, Marie-Thérèse Rossi. The St Charles Primary School Choir also attended to sing during the ceremony. Guests had the opportunity to write a dedication for a permanent book of remembrance kept at the hospice and could also sponsor a Christmas light and custom-engraved wooden dove. The doves were placed on Christmas trees that were lit up during the ceremony, with guests taking their doves home afterwards. Light up a Life is one of the many events held by the hospice movement to support people dealing with the death of a family member or friend. 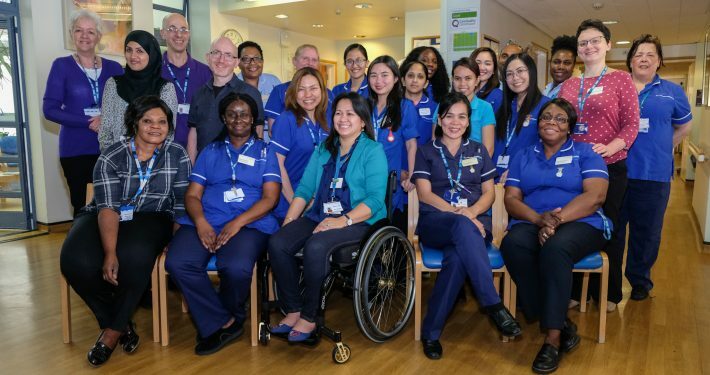 It is an opportunity to offer some solace during the bereavement process and to build up a connection to other people in their community who are going through the same situation. “Light up a Life is one of the most valued events in our calendar. It enables hundreds of people in our local community to experience the warmth and joy of sharing precious memories as they come together to remember a loved one. The annual event is on the first Sunday in December, so the next event take place on Sunday 1 December 2019. 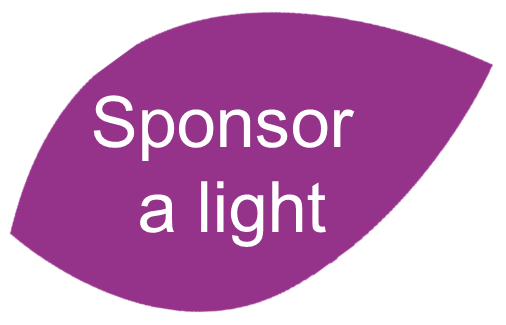 By sponsoring a light you will be helping others who need our support. We will post your dove to you along with a thank you for your contribution. Sponsor a light and a dove here. You need to fill out the form on this page to let us know who you are sponsoring the light for and what you would like on your dove.